Some guys like their scalp completely bald, and their face totally shaven. It is a common style for most guys these days as it makes their lifestyle simple and manageable. If you would like the same thing, it will be better to try the Bald Eagle Essential made by Skull Shaver. This shaving device is electrically powered and designed to help you shave your entire head and face at home. By so doing you can avoid regular visits to the barber shop and cut your bills. Forehand Glide Shaving – This one lets you do many forehand movements without getting tired. 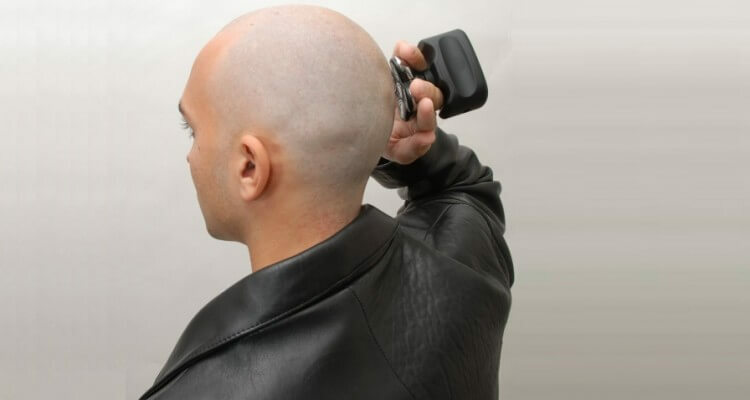 Backhand Glide Shaving – Doing backhand motions won’t be difficult at all, and you will be surprised to achieve the same great results a barber does. Motor – The motor that rides this system rotates very fast (10,500 RPM), ensuring that you finish up grooming your head and face as quickly and efficiently as possible. Battery – The shaver uses a Li-Ion battery for high performance. On a single charge, the shaver consumes seventy minutes. And it takes five hours to charge once. To charge, a UL certified 110-140 Volts Plug is needed no matter the region of the world. Even so, an adapter for this plug may be needed by people who live outside the United States. Cordless operation only – According to the manufacturer, you should avoid using this item in the shower or bathtub. Double and thin heads – These are great because they can automatically adjust to any arc of your scalp or face, giving you a smooth, bruise-free experience. 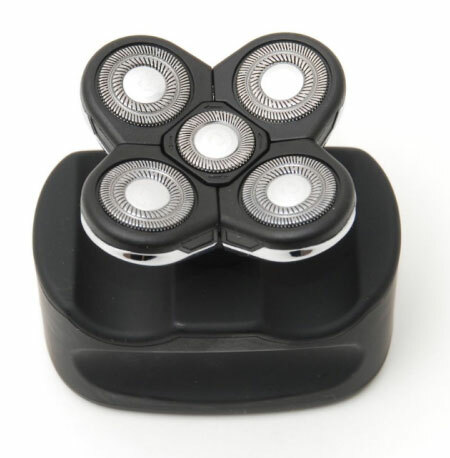 As well, the feature enables you to shave quickly in all directions including in small, circular motions. 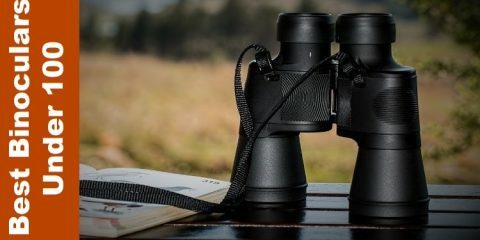 Easy maintenance – Bald Eagle Essential is very easy to clean and maintain. You do not have to open the shaver heads at all to clean it. Usable with accessories – To make your bald shaver more convenient and reliable, you can buy accessories and attach. These are sold separately though. 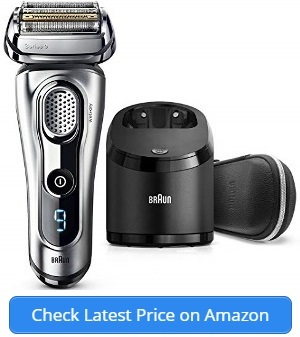 Full satisfaction guaranteed – If you order this shaver and find it less satisfying, simply return it and take advantage of your money-back guarantee. Are you fond of a bald head and clean face? The bald Eagle is the professional shaver for a person like you. It is a great electric shaver that does not cost a lot of money. Additionally, the item is user-friendly no matter who uses it and regardless of the motions they want to do. A bald head does not require any special hair cut as you only need to remove all hair with the device. It is the easiest way to eliminate your barber expenditures and at the same time make sure that your shaver is clean and sterilized. There is no need to pay someone to shave your hair any longer, as you have got the Bald Eagle professional shaver and the skill to do yourself the service. Above all it is portable and can be utilized anywhere there is a power outlet. The Bald Eagle men’s shaver is a great product but you need not use it in the shower or bathroom. If you are going to take it there, then make sure that it has battery charge rather than power from a socket. Do not use with gel. The first component that was lovable immediately is the 3-individual flex action and the thin heads. I love the fact that I can do wet or dry shave and when doing the former I could just use some shaving foam. The design is simple yet so full of practical features that I enjoy utilizing. Reaching the back of my head and body has been the simplest thing with this shaver. Above all, I just like the fact that my Bald Eagle does not nip, bruise or cut my skin no matter how close I bring it. Offers three rotary cutters that guarantee a quick and close shaving of big areas of your head and body. The 3-individual-flex-action, along with the thin heads, includes automatic parts that go with the texture of your scalp or face. It is a dry and wet shaving device. A money-back guarantee feature to back the purchase. It offers great performance but it lacks the battery-level indicator screen. Many users consider this an important feature as the indicator would warn when the battery is about to run out of charge. This is a first-rate electric shaver for your head, face and body and it has many fans on the internet.